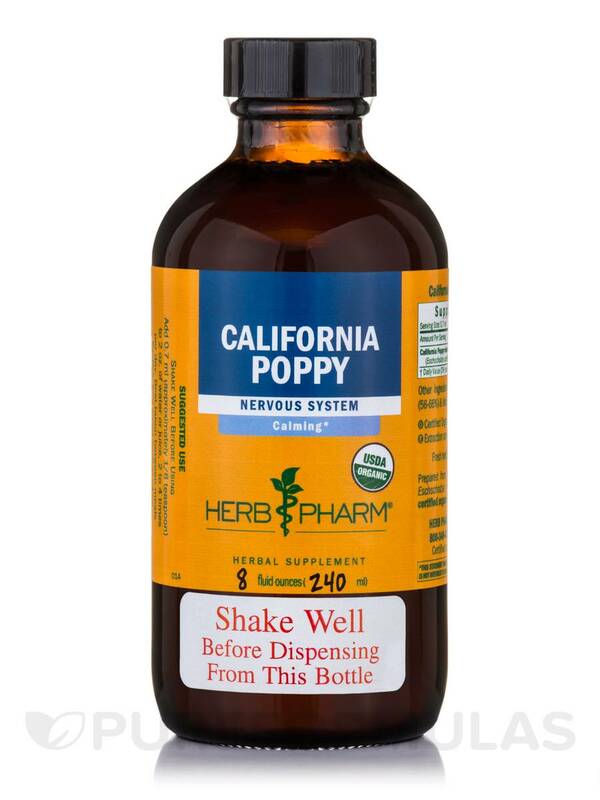 California Poppy Extract by Herb Pharm provides California poppy (eschscholzia californica)‚ which is an herb that may have a mild calming effect on your central nervous system. 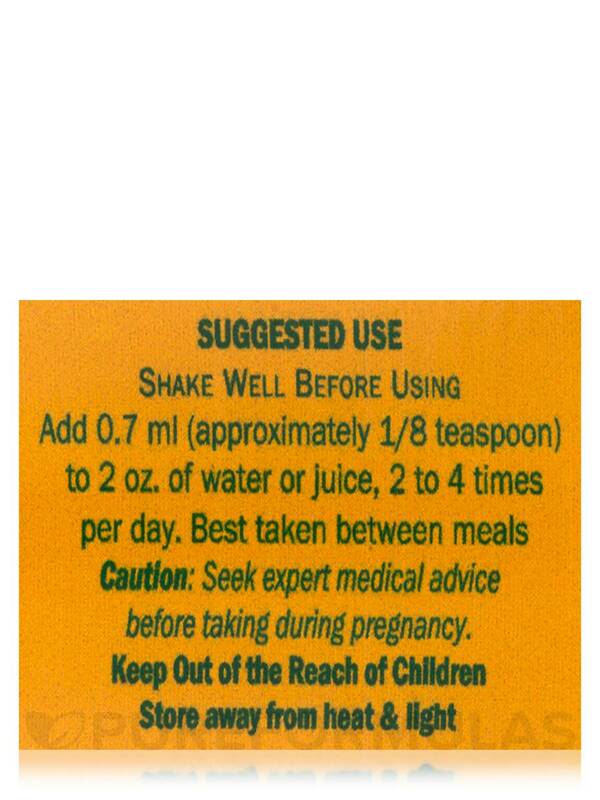 As a result‚ this supplement might work to alleviate certain symptoms associated with stress‚ such as anxiety. 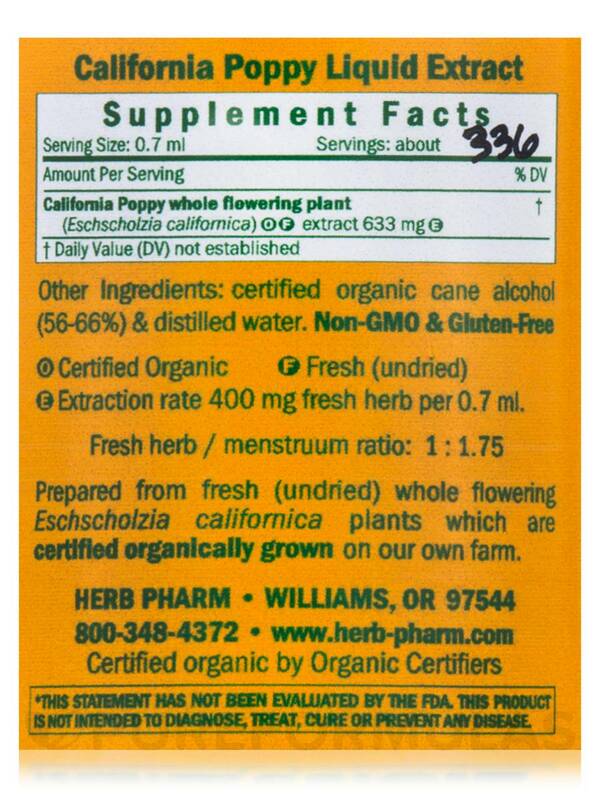 Furthermore‚ the California poppy might serve as a gentle sedative. Therefore‚ this product could potentially help you fall asleep more easily. Moreover‚ California poppy extract may work to support female reproductive function due to its mild antispasmodic and muscle relaxant properties. Specifically‚ this herb may help address certain symptoms associated with uterine cramps as well as pain during menstrual periods. Finally‚ several Native American tribes have traditionally used the California poppy to alleviate minor pain associated with toothaches. 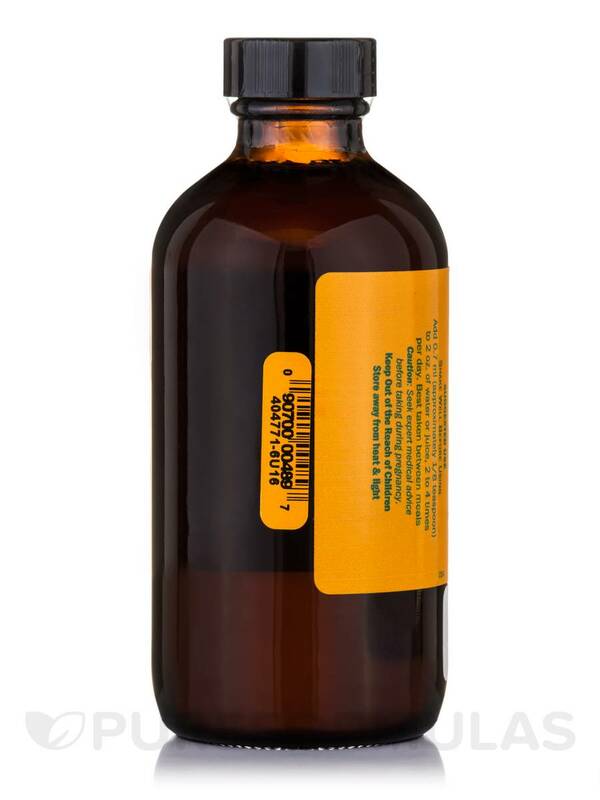 The active compounds in California poppy extract are alkaloids such as crytopine. 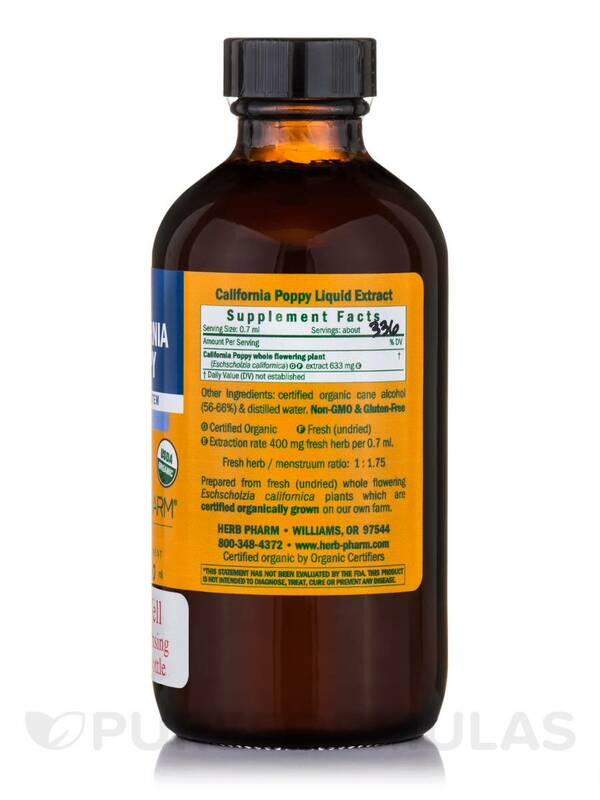 In order to maximize the extraction of these compounds‚ this supplement is prepared with fresh roots‚ leaves‚ and flowers that have been harvested from organically grown eschscholzia californica plants. 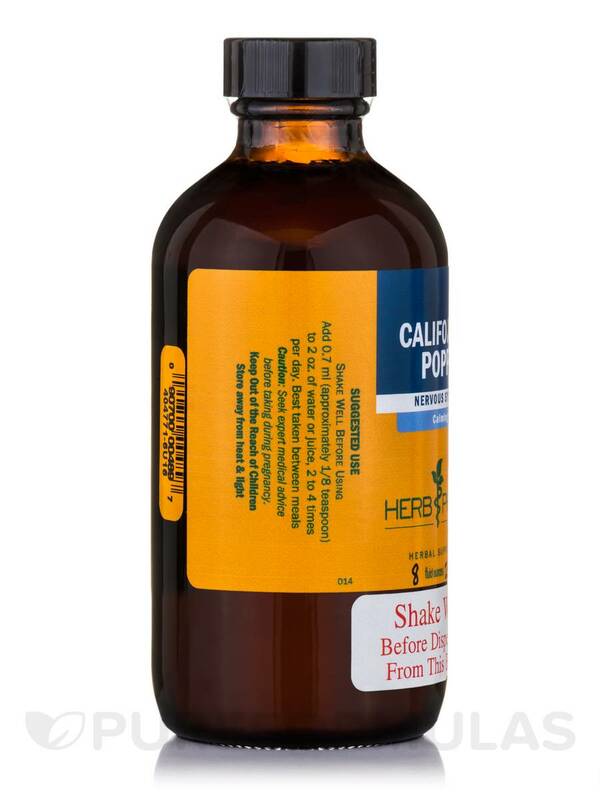 Buying this eight-ounce bottle of Herb Pharm’s California Poppy Extract is a convenient way to stock up!